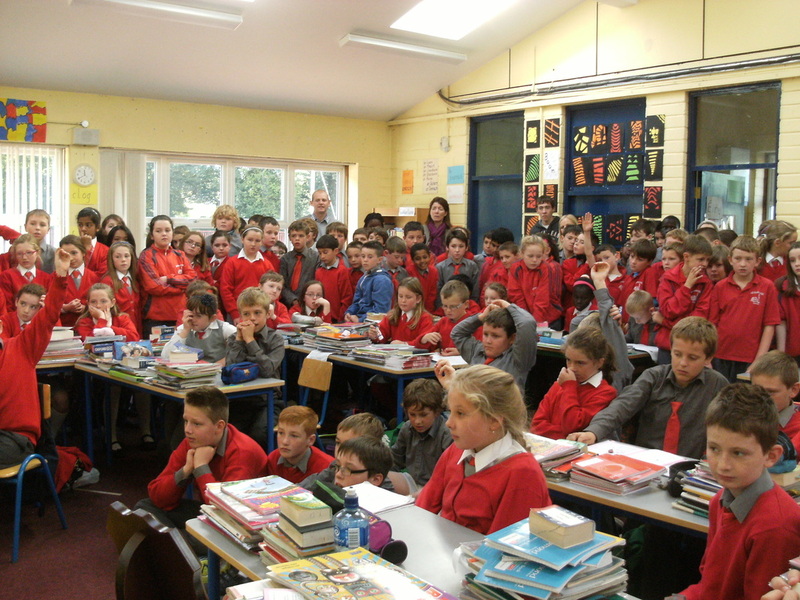 Mary Fitzgerald is a past pupil of St Canice's school. 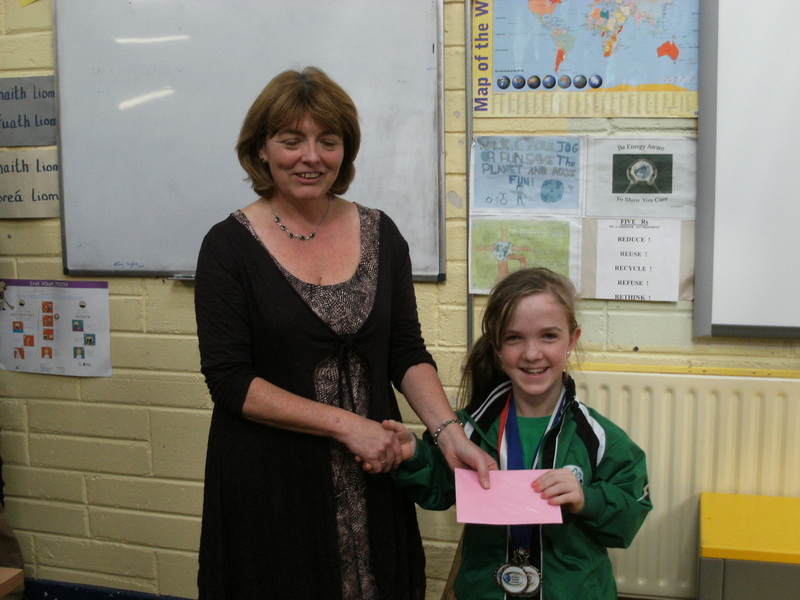 Mary has long been an inspiration to staff and pupils alike. 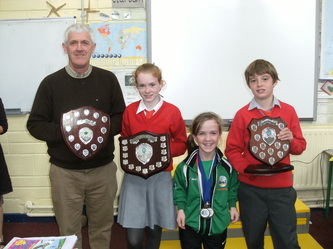 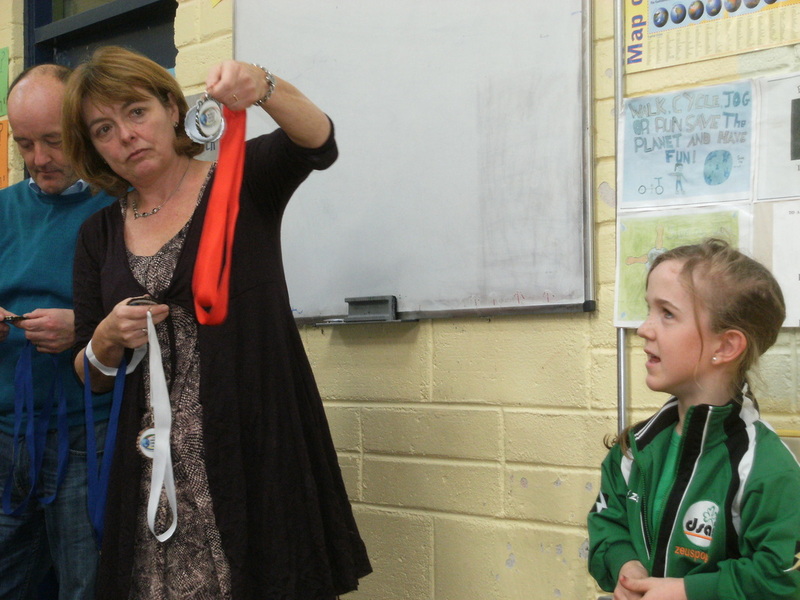 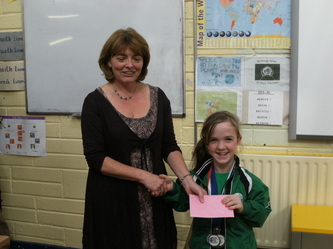 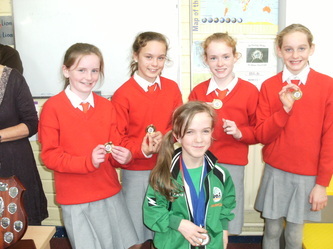 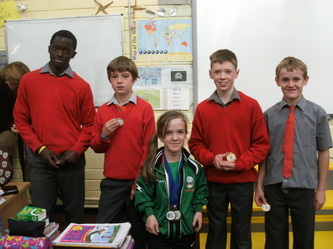 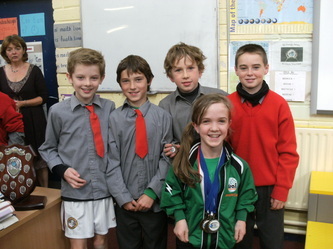 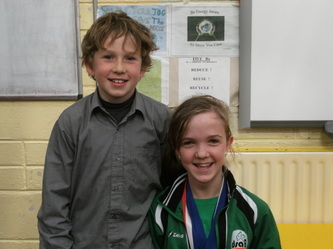 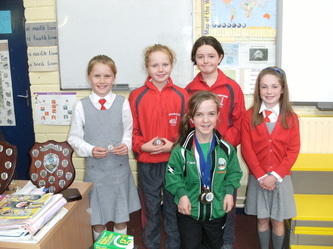 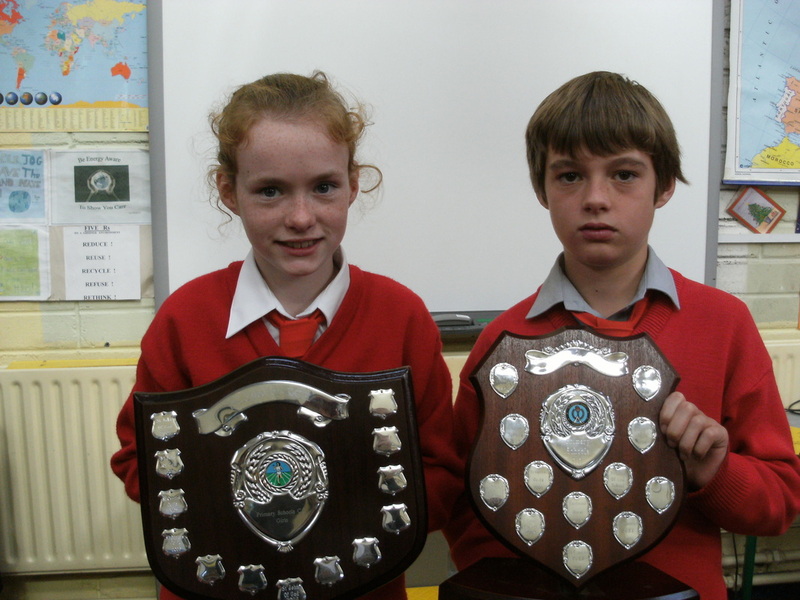 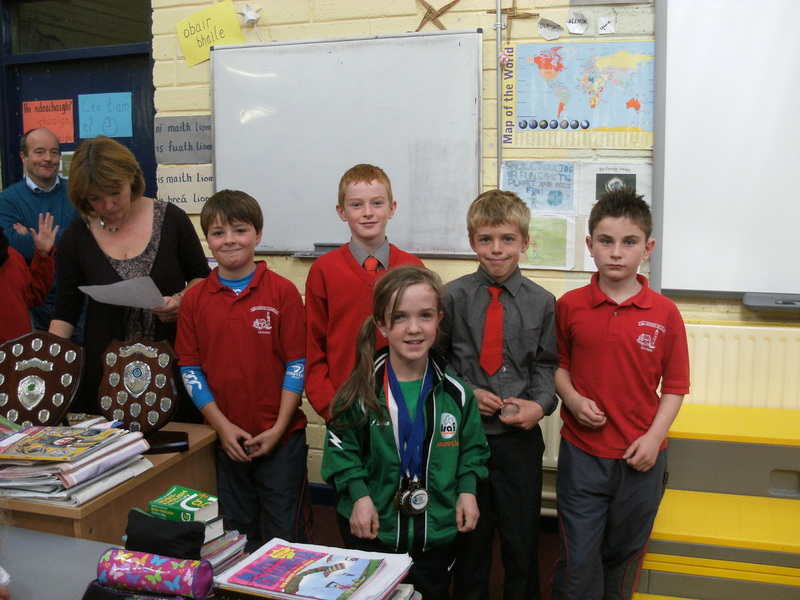 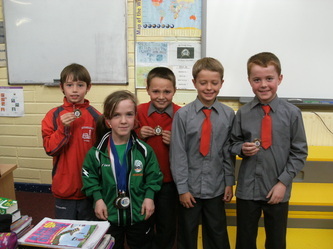 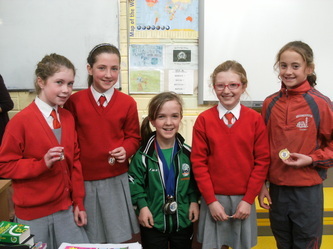 She returned last Wednesday (16th October) to present medals to our winning cross country teams. 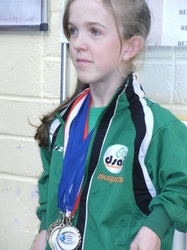 She was most impressive. 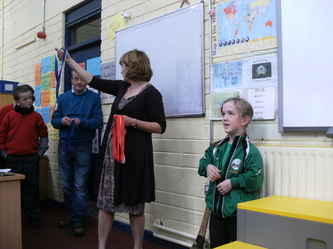 She answered the children's questions with insight and understanding and she proved yet again to be a great hit with the kids. We congratulate Mary on her outstanding performance at the World Dwarf Games which were held in Michigan, USA last August. 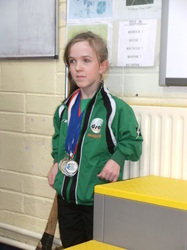 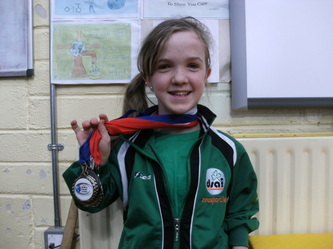 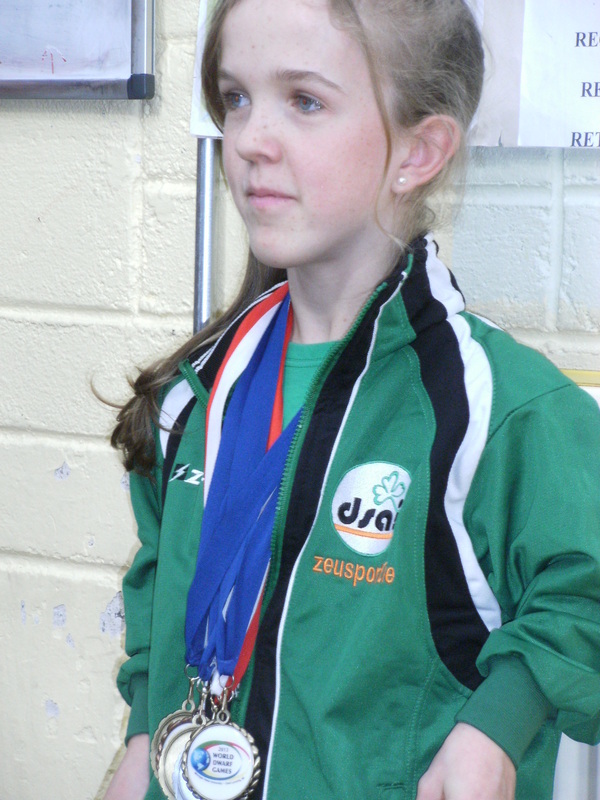 Mary won medals medals, four gold, two silver and two bronze at the Games. 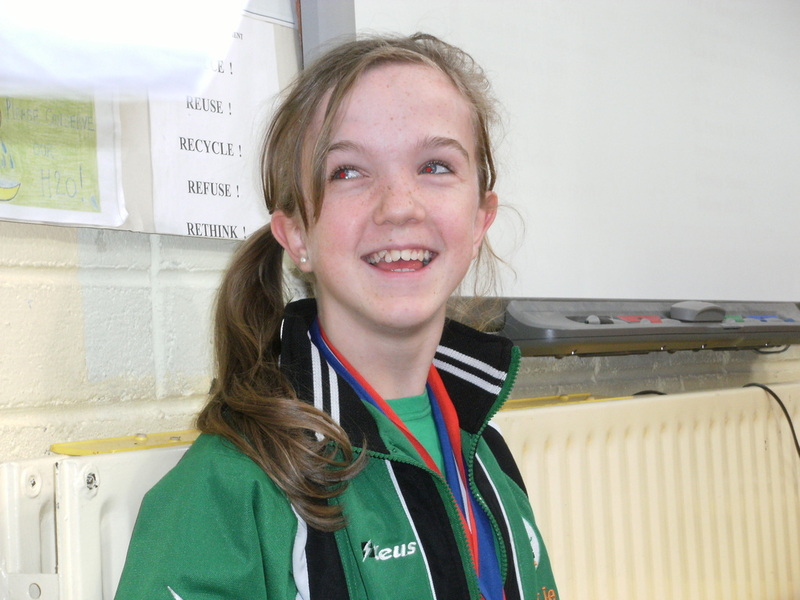 Mary won gold medals at javelin with a winning throw of 11.2 metres which is a new world record, the 100 metres where she set another world record and 60 metres sprints, coming in almost two seconds ahead of her nearest rivals. Mary’s silver medals were for the 100 metres relay and the discus with a throw of 11.03 metres and a bronze for the shot putt.